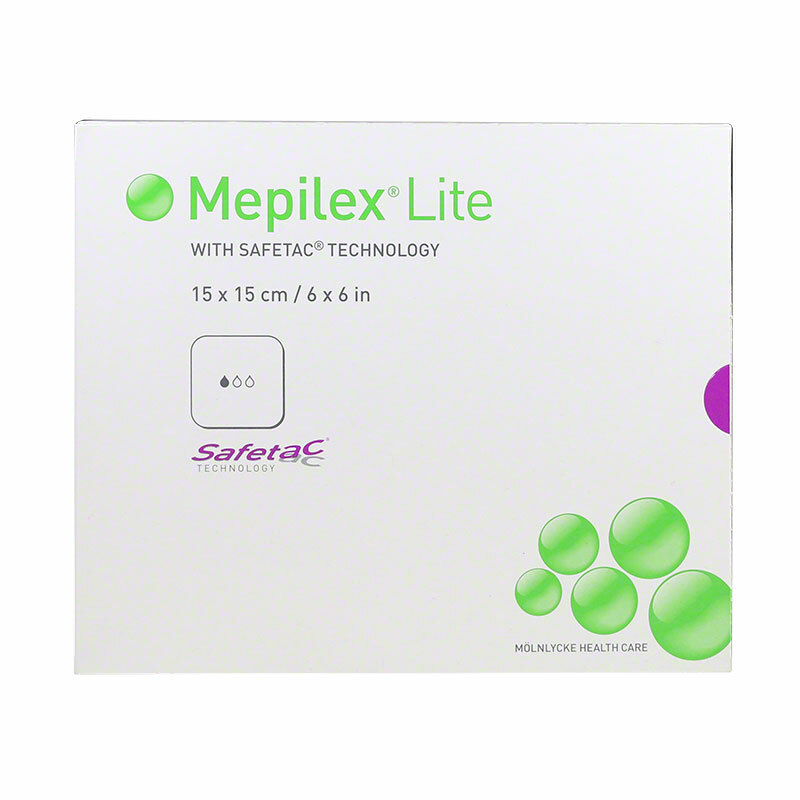 Molnlycke Mepilex Lite (6" by 6", part number 284390) is a thin foam dressing ideal for acute or chronic wounds with low exudation. It is very soft and conformable, and can easily be cut to size. Pack of 6 boxes (5 dressings per box).